I am currently trying out the High Fidelity VR beta on Steam with the HTC Vive. I first noticed ‘HiFi’ on Steam earlier in the week before its release. Sufficiently intrigued, I downloaded the beta from the HiFi website. 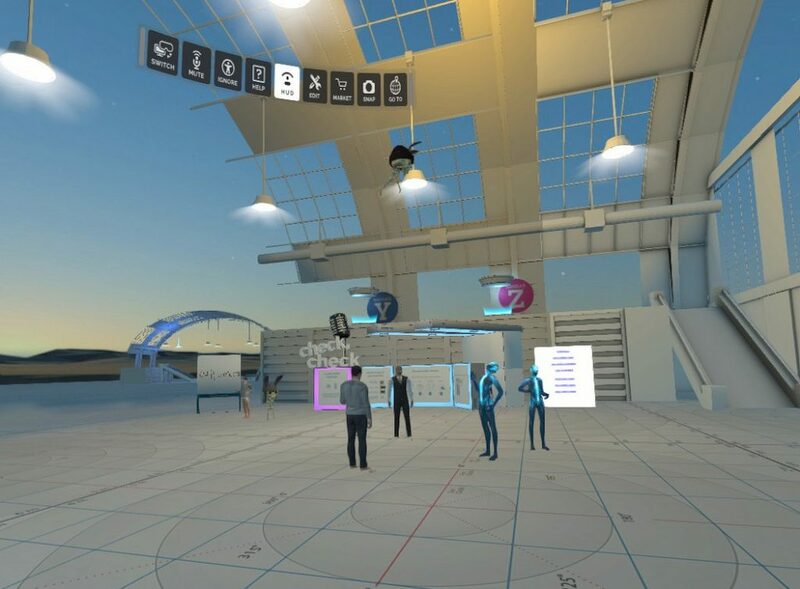 High Fidelity VR is a multi-user, multi-location open VR environment. The underlying goal of the project seems to be to provide the framework that allows presentation of any kind of VR experience. The concept is a bit like a web-browser. You connect your HiFi ‘browser’ (called ‘Interface’) to a server. 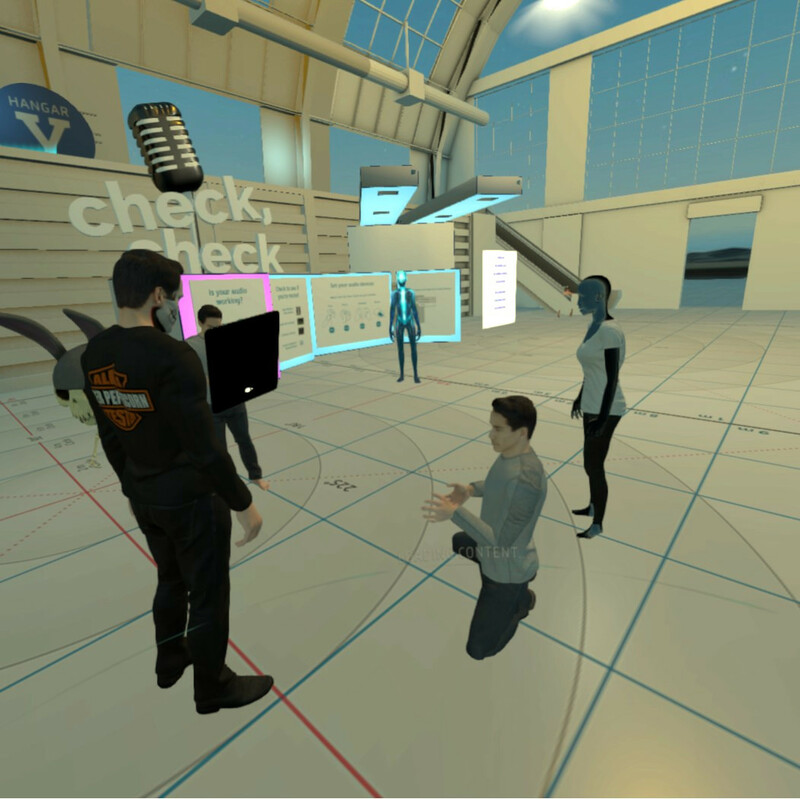 The server provides the environment, communication, physics and assets for a multi-user VR experience. Firing up High Fidelity from SteamVR drops you in a basic introduction and orientation tutorial. The tutorial demonstrates the HiFi controls and user-interface. 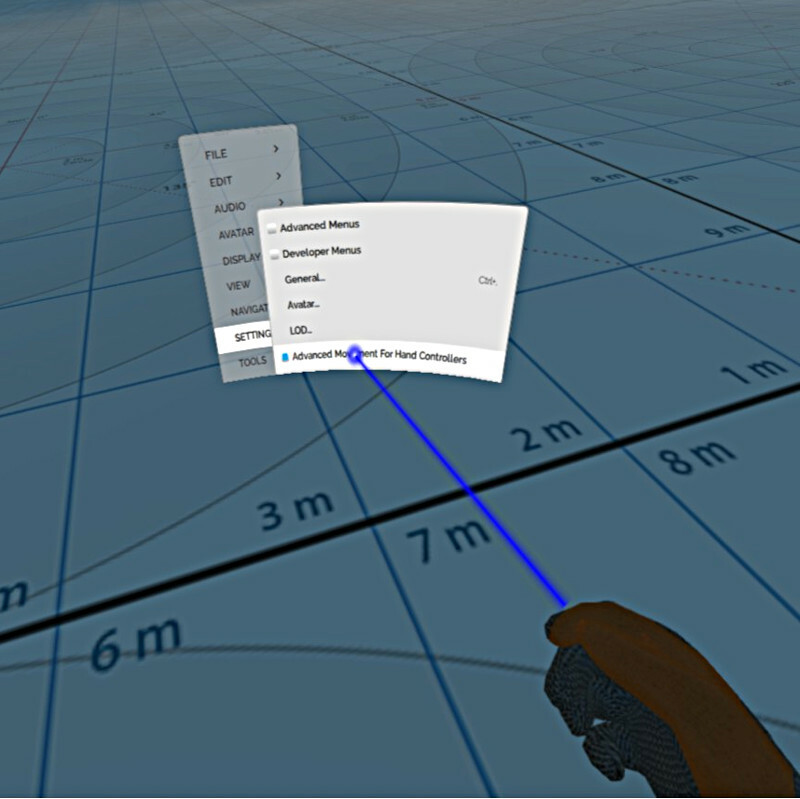 Vive controllers can be configured to allow touchpad movement. 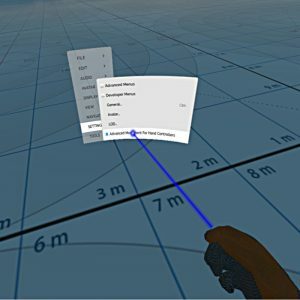 You will now be able to move around using the Vive touchpads. The left pad up and down moves backwards and forwards. Left and right moves you left and right. On the right pad, left and right turns your body left and right. Up and down lets you fly up and descend. (Yes, you can fly in HiFi). The individual ‘Worlds’ of High Fidelity have inter-linked teleportation points. This is like the hyperlinks that allow you to click your way around the web. I went through one such teleport and experienced a simulation of human cells from the inside. As of writing, there’s about 80 such ‘Worlds’. However, I’ve not had chance to visit many. High Fidelity feels more than a little like Second Life in some ways. It’s no coincidence; High Fidelity Inc was started by Philip Rosendale, the creator and former CEO of Second Life. 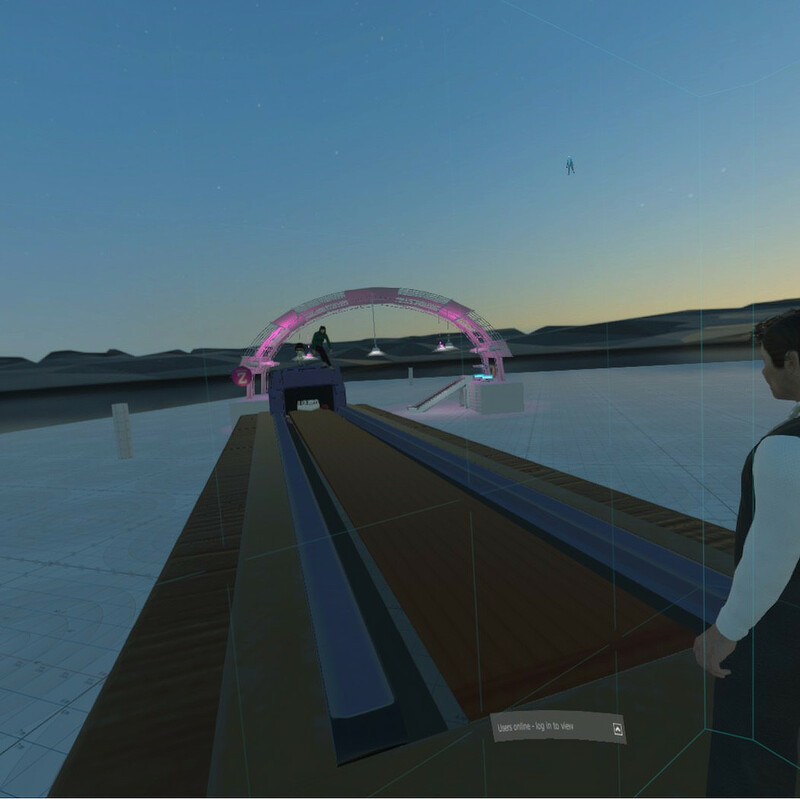 Unlike pre-defined VR experiences, High Fidelity VR allows for user created assets. Upon joining High Fidelity’s ‘locations’ virtual assets are progressively downloaded. Bandwidth may constrain how quickly assets are loaded. High Fidelity VR Greeter helping newcomers in the Welcome area. High Fidelity Inc have thoughtfully included ‘Greeters’. These are avatars that meet and greet in the welcome area. The HiFi greeters are real people using HTC Vives. Greeters help you out with your first steps in High Fidelity. A surreal experience was stumbling into a virtual corporate meeting being held by an avatar that looked rather like Philip Rosendale. It seems like the meeting was with the representative of another company. It shows some real faith in the High Fidelity product having meetings in there. The detail of HiFi avatars is notable. The movements follow my tracked movements. If I wave with my hand, my avatar repeats the gesture. If I squat, likewise my avatar squats. High Fidelity tracks your head movements (with the HMD). Some avatars seem to have moving gaze. I’m not certain whether this is mimicked or if some users have eye tracking. It does suggest on the High Fidelity Inc website that gaze tracking is or will-be a feature. When speaking, at least some of the avatars have (presumably voice activated) mouth movements. Along with the positional audio, this simplifies picking out which avatar in a group is speaking. An experience within an experience. At one point, a greeter summoned a ten-pin bowling alley. The interface is intuitive enough that you can simply take a ball and take a shot. The Physics of High Fidelidy is distributed over the network. If I throw the ball over-arm down the alley, everybody else sees my throw that way. Playing catch seems a common introductory pastime in the welcome area. Avatars batting beachballs around is a common sight. High Fidelity VR is free and open source. It’s always nice when something is free and it just so happens HiFi is both free to use and open-source. Thats not to say you can’t spend your money on HiFi. There are ‘in-experience’ payments via the marketplace for premium virtual items. There’s also the option to buy a ‘domain-name’ for your self-hosted virtual location. The payments are entirely option and not necessary just to use High Fidelity. If you wish, it is possible to run your own High Fidelity location. For this you need your own webserver and some technical knowhow. 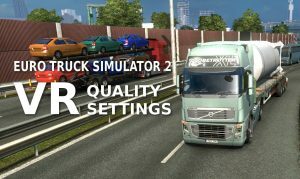 You can create your own virtual environment with your own assets. High Fidelity is available on Steam. Simply search for High Fidelity within the Steam Store. The Steam install should keep your copy of Interface up to date. The welcome area has become busier since the release on steam and I did encounter some frame-rate issues. Especially while digital assets were downloading. It is worth remembering that High Contrast is currently in beta so it may have bugs. Hopefully a greeter will be there to help you out if you encounter any.